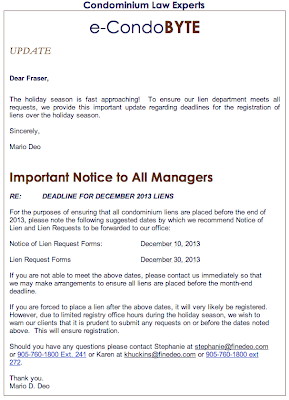 Just got an interesting email from the Toronto Law Firm Fine & Deo reminding all their clients about the Christmas season and what should be done to make sure all liens are properly placed before the end of December. 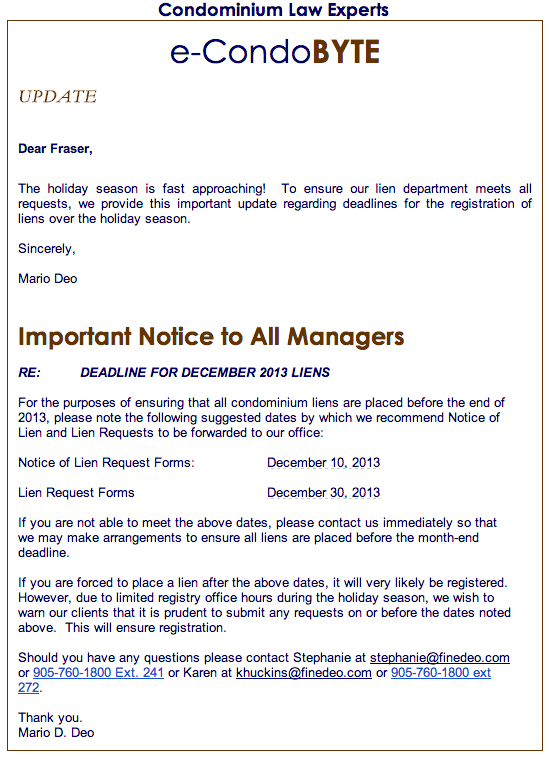 I hope all condo owners, boards and managers have given some thought to this matter. Have a Merry Christmas! !